A roof replacement is one of the best ways to add style and value to your property. Before you start building your new roof, however, you will need to choose which roofing materials and colors will be the best fit for your home. With services from a company that specializes in roofing supply near Redmond, you will be able to choose between roofing products that come in an assortment of colors and styles. 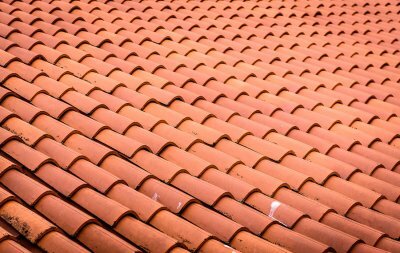 If you are planning on building a new roof, read these tips for choosing the right color for your design. Your home’s exterior paint will have a major impact on the look of your new roofing installation. To choose the best color for your new roof, be sure to carefully consider which roofing colors will look best with the current paint colors of your home. If your home is painted in a light shade, you may want to pick out a softer roof hue. Dark homes look best when they are paired with equally bold roof color choices. Throughout the course of a single day, your roof may be in direct sunlight and total shadow. If you want to make sure that you are pleased with the color of your roof, no matter the lighting situation, compare your roofing shingle samples under various lighting conditions. A shingle color that looks great in full sun and complete shade will be a great addition to your home. When you have a new roof installed, your roofing contractors near Redmond will leave you with some kind of warranty. A warranty protects you in case your roofing materials fail before they are expected to, which can be a lifesaver in certain situations. Warranties aren’t permanent, and there are some things that can void them. In order to keep your warranty active and retain your protection, it helps to maintain your roof and understand what not to do. Continue on for a few tips for getting the most out of your roof warranty . 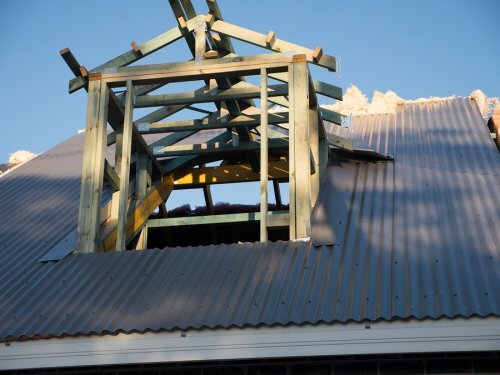 If your roofing materials malfunction before you expect them to and you’re not covered by a warranty, the cost of repairs will fall on your lap. If you do have a warranty, you’ll want to have your contractor check on your roof on a regular basis to see if any materials are damaged or failing. This helps you catch premature problems while you’re still covered. You also want to avoid anything that will void the warranty, like maintaining your roof with harsh cleaners or scrubbing to the point of damaging your shingles. You can always play it safe by having a roofing maintenance professional clean and care for your roof. When you are looking for a team of roofing contractors for your upcoming roof replacement, be sure to work with a company that is fully licensed and insured. By finding a licensed roofer, you can rest assured that you are working with reputable contractors that are committed to providing safe services that are of the highest quality. If you are in need of qualified roof contractors near Redmond, look no further than B&J Roofing . 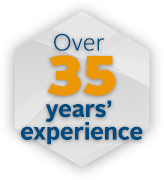 For more than 35 years, we have been licensed to offer roof cleaning, roof inspection, and roof replacement services. If you neglect to work with a licensed roofer for your upcoming repair or replacement procedure, you could end up running into trouble. Unlicensed roofers often do not offer contracts or warranties for their services. Without a license, you will also have no way of verifying that your roofers are building your new roof in accordance with safety standards. For total peace of mind during your roof procedure, always hire a team of licensed contractors. 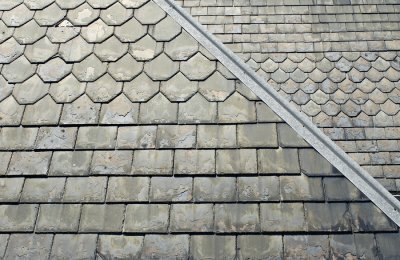 Is a Slate Roof Right for Your Home? If you are comparing roofing materials for your new roof installation, you may want to evaluate the benefits of building a slate roof for your home. Slate roofs are renowned for their exceptional quality, and you can expect your new slate roofing to last for many decades. Roofers that offer slate roofing in Redmond can help you decide whether this roof style will be the best choice for your property. To help you choose your new roofing materials, here is an overview of three signs that a slate roof is right for your home. One of the top benefits of a slate roof is that this type of roofing will stand out from conventional asphalt roofing materials. Slate roofs are instantly recognizable for their incredible style and stunning good looks. Your new slate roof can also be finished in a variety of colors, which range from neutral grays to vivid greens. If you want your new roof to make a style statement, slate may be the right material for your needs. A standard, asphalt roof will last for up to about 30 years before it needs to be completely replaced. In comparison, you can expect your slate roofing to remain in terrific condition for up to 150 years or longer. If you wish to invest in a quality roof that has been built to last for many decades, a slate roof is an excellent option for your home. Due to its fantastic durability, a slate roof is a terrific investment. When you are building a green home that is focused on the protecting the environment, it is important to pick out roofing materials that are environmentally friendly. A slate roof is among the most eco-friendly types of roofing that you can purchase for your home. Since slate roofs hardly ever need to be replaced, these types of roofs are an eco-smart choice for the savvy and environmentally conscious homeowner. 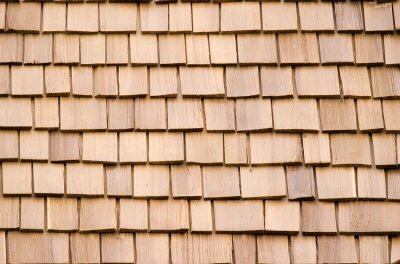 If your home features a cedar shake roof near Redmond , then it boasts one of the oldest and most durable roofing materials. Read on for some important tips on maintaining this type of roofing. No matter what roof material you have, maintenance begins with a comprehensive roofing inspection. This type of service reveals potential problem areas. Addressing small issues early can help prevent the need for more costly repairs. Cedar shake roofs are designed to last. The shakes do not decay without some help from moisture or an infestation of something like lichen or mold. For this reason, one of the best ways to get the maximum lifespan out of your roof is to have it cleaned regularly. Without consistent roof maintenance, shakes that were installed with roof felt can retain moisture and develop infestations. These infestations can lead to water damage and compromised roof integrity. First, cedar shake roofs should never be sealed, as this will prevent them from drying out properly. Staining, on the other hand, can improve your roof’s appearance and may increase your home’s curb appeal, depending on the look that you want to achieve. However, it should be noted that staining offers only aesthetic value and does not help preserve your roofing. Instead, cleaning is the best method for getting the full 40 to 60-year lifespan out of your cedar shake roof. There are several good reasons why homeowners should call a professional for roofing maintenance. First, these experts have the tools and expertise needed to give your cedar shake roof a proper cleaning, which can help it function and look good long-term. Also, trying to clean and maintain your roof can be a dangerous task, so it shouldn’t be attempted without the right experience or equipment. Finally, a roofing professional will know what to look for while maintaining your roof. By spotting small problems and alerting you to their presence, a professional can help you keep your cedar shake roof in great condition. While repairs and maintenance can help extend the life of your roofing, each roof will need to be replaced at some point. 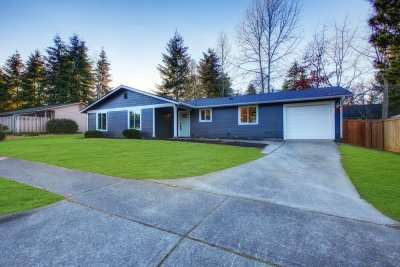 If you’re planning to replace your roofing in Redmond, then you might benefit from considering Malarkey roofing products when selecting a material. Malarkey offers designer shingles in several beautiful product lines. The Windsor® designer shingle line has a unique, open-tab design that can lend your home the appealing look of a traditional cedar shake roof. Malarkey’s Legacy®, Vista™, and Highlander® lines can add more dimension to your roof’s appearance and are available in a selection of options that offer protection from algae and staining along with impact resistance. Furthermore, the roofing material manufacturer produces Ecoasis™ solar reflective shingles that not only look beautiful but also help keep your home wonderfully cool by reflecting sunlight away from your roof. Finally, you can choose from their Alaskan® and Dura-Seal™ 3-tab shingles which are elegant and have a traditional roofing style. The broad range of beautiful, impact-resistant, and algae-resistant shingles from Malarkey may be a great choice for your home. When your home is in need of a roof replacement, you will want to make sure that your new roof is constructed with quality materials. This video provides essential information about how to understand the most important components of your new roof. To ensure a quality construction, your roofing contractors near Redmond will need to use roofing felt, underlayment, and high quality roofing shingles. 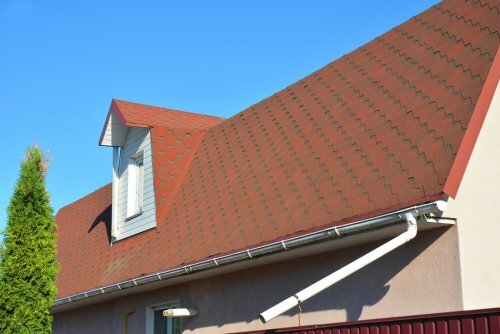 By investing in quality roofing materials from a local roofing supply company, you can rest assured that your new roof will be able to protect your home, throughout every season of the year. 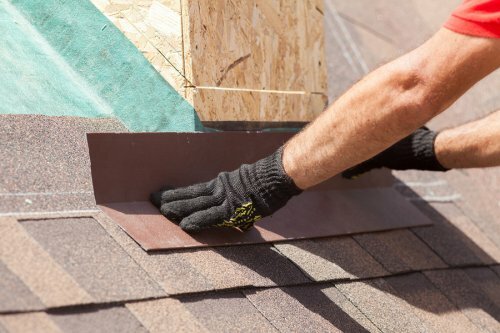 After you have researched the different components that are used to construct a new roof, you will be ready to embark on the roof replacement process. When you embark on a roof replacement for your home, you may want to consider adding a dormer to your existing roofline. Roofing contractors near Redmond can help you determine whether a dormer will fit into the existing structure and style of your current roof. By choosing to include a dormer in your roof, you can expand the ceiling height and natural light of your top floor room. Before you embark on a new dormer installation, there are a few factors that you will need to consider. In order to determine whether a dormer will make a good fit for your roof, you will want to consider the overall style of your home. Dormers look best when they are installed in homes that are classic in style. If you want to achieve better functionality from your attic, a new dormer installation may be the ideal addition to your roof. Before you hire roofers to design and install a new dormer, you will also need to make sure that you can obtain the necessary permits. When the time comes to replace your home’s roof, you will want to make sure that you work with a team of roofing contractors who are highly qualified to perform your roof installation. By hiring experienced roofing contractors near Redmond, you can make sure that your new roof is attractive and made from high quality materials. As you are designing your new roof installation, you may want to consider some of the different types of roofs that are available to your home . Here is a quick overview of some of the different roofing materials that you might want to choose for your house. 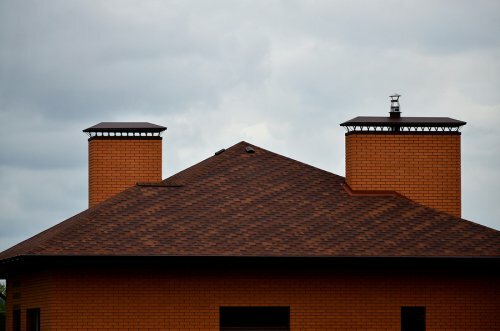 Asphalt composition roofs are among the most popular types of roofs that are used on today’s homes. When you choose an asphalt roof for your property, you can feel great knowing that your roofing materials will be durable, attractive, and built to withstand extreme weather conditions. Another advantage of asphalt composition roofs is that these types of roofs are available in many different colors and styles. The cedar shake roof has been a classic type of roof for many decades. 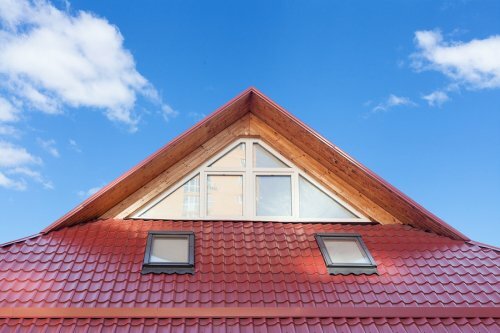 When you are deciding on what type of roofing materials to use on your home, you may want to explore the benefits of new cedar shakes and shingles. After you have installed new cedar roofing in your home, you can rest assured that your roofing materials will last for up to 50 years or more. Cedar shakes can also provide a home with rustic style. While low pitch or flat roofs used to be very common for commercial buildings, more and more homeowners are choosing to install low pitch roofs on their homes. Unlike asphalt or cedar roofs, which have a defined slope or pitch, low pitch roofs are nearly flat. A benefit of a low pitch roof is that this type of roofing can be crafted with environmentally friendly materials that will help you save energy. No matter what type of roof you choose, you will want to hire a certified contractor for your installation.